Artificial intelligence and employment are the burning issues workers need clarity on as we head into the future. Learn about the opportunities and solutions AI provides to eliminate your fears. Artificial Intelligence (AI) is here to stay, and many people are not happy. After all, it is hard to embrace something that could displace about 40 per cent of human jobs in the next 15 years. In an interview for CBS’s 60 minutes, Kai-Fu Lee (a Chinese AI expert) also mentioned truck drivers, chauffeurs, waiters, and chefs as some of the professions that will be disrupted. That right there must have hit a nerve. However, everything is about to change because this article highlights some of the reasons you should not fear AI. And even if you were to ask the experts, they would unwaveringly confirm that regardless of all the noise, AI is here to benefit us all. Case in point, an executive briefing by the McKinsey Global Institute revealed that AI and automation are creating opportunities for the economy, society, and business. That said, it’s time to repress the widespread idea of artificial intelligence taking jobs. So, let’s highlight some of the useful developments you can expect from this technological phenomenon. Transparency analysts: people tasked with classifying the various types of opacity for algorithms. Smart-system interaction modelers: experts who develop machine behaviour based on employee behaviour. Machine-relations managers: people who champion for the greater use of algorithms that perform well. As far as the competition for jobs between humans and robots goes, worth noting is that there are jobs that AI can't replace. Roles that require leadership, empathy, and delegation are examples of the many jobs that are safe from automation. Automation will stir positive change in the workplace. When AI is used during recruitment or even performance management, all workers will be evaluated in an unbiased, fact-based manner. In turn, Human Resources managers can get to concentrate on other essential strategic undertakings that ensure balance in the workplace. AI can help HR departments to use machine learning (ML) in discovering where issues such as bias stem from and assist them to act accordingly faster. ML shines in identifying instances of bias. In turn, this will promote fairness and diversity in the work setting. The impact of artificial intelligence in business is already felt, and this is expected to continue through to the future. A few years from now, AI-oriented architecture is forecasted to take the lead in assisting businesses to carry out operations in more comprehensive ways, thus shifting them from traditional data science and machine learning models. It will be necessary to move to business outcomes because AI will play an essential role in multiple aspects of the business. While there is no way of telling the future of artificial intelligence in business for sure, it makes sense for owners to keep up with the evolution to avoid being left behind. The workforce of the future will lean more towards innovation and creativity. Businesses have spent the better part of the last few years studying AI automation and how they can leverage it to achieve results fast. With statistics showing that workers spend up to 40 per cent of their hours at work performing repetitive tasks, every business should consider automating any functions that can be automated. Automation is not new; machines have been replacing human labour in different areas for decades. However, in the coming years, mundane daily tasks will become fully automated. Already, 39 per cent of organisations were completely reliant on automation in 2018. With repetitive tasks taken care of, employees can focus their energies on high-value customer-oriented tasks and collaboration. The designs of workplaces and workflows will also change with the implementation of AI technology. More people will begin to work more closely with machines as companies will strive to become more agile. Companies which implement AI in their business strategy will experience dramatic improvements in their customer experiences, and their employees will be more motivated. Encouraging creativity rather than the performance of repetitive tasks gives workers more fulfilment in their jobs as well. With the Internet of things and artificial intelligence working hand in hand, identifying trends and solving problems in the business world will become more convenient and also sustainable. AI, together with other technologies, is expected to change the world by impacting the way businesses run. With time, we will be able to combine both human and artificial brain to find solutions to major global problems. It will also be easier to foresee problems with more accuracy and nip them at the bud with the assistance of AI. But these positive impacts can only be felt if stakeholders are transparent and mindful in their use the technology for the greater good of everyone else. 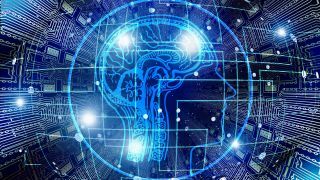 According to a report by PWC, 54 per cent of businesses confirm that implementation of AI-driven solutions in their companies has already improved productivity. AI and automation, even when they are implemented partially, have unlimited potential for any business. Workers’ skills, attitude, training, command chain, and workflows protocols are some of the leading productivity challenges that companies face. Apart from increasing productivity, AI systems will help businesses to cut down on costs, improve the quality of their products or services, and create better customer profiles. As a result, companies will also get higher profits, which can be shared among stakeholders as dividends, or reinvest it back in the business. Improved productivity also means that firms will be able to sell their products at lower prices, thereby creating more demand among customers and more job opportunities for workers. Businesses can, therefore, use human labour to take up those jobs that have been created by AI and cannot be automated. Artificial Intelligence is not showing any signs of slowing down. Soon, it will become another necessity of life, just like the Internet. But for now, more and more businesses are beginning to realise how invaluable AI automation and data interpretation are. Though machines will take some jobs in the beginning, the jobs created by automation will also keep soaring in the next few years. Will we have reached the point of increasing human intelligence by artificial means? Who knows? What we know, however, is that those who will be sought-after in artificial intelligence and employment are individuals who have the have the relevant skills. There’s work that not even the machines can do; so, make yourself as valuable as you can be in your field and you will be irreplaceable.